Barlean's Fresh Catch is a pure & pristine source of purified pharmaceutical grade fish oil providing optimal levels of EPA and DHA to bring you vibrant health and energy. Fresh Catch Fish Oils are in a class of their own. 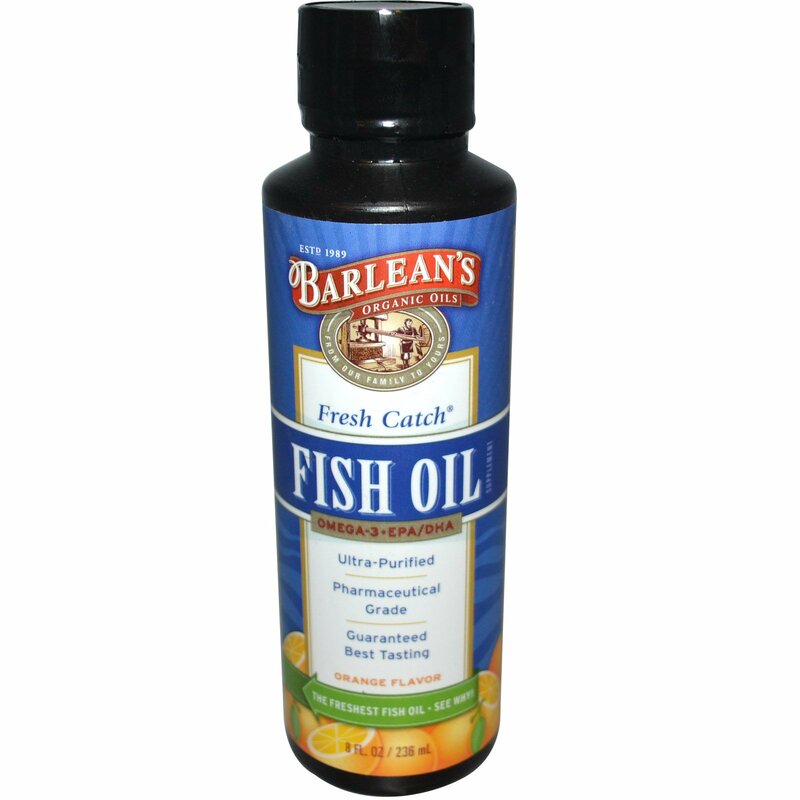 We choose to date our fish oils 6 months (not up to 3 years) to ensure the very freshest fish oil available. 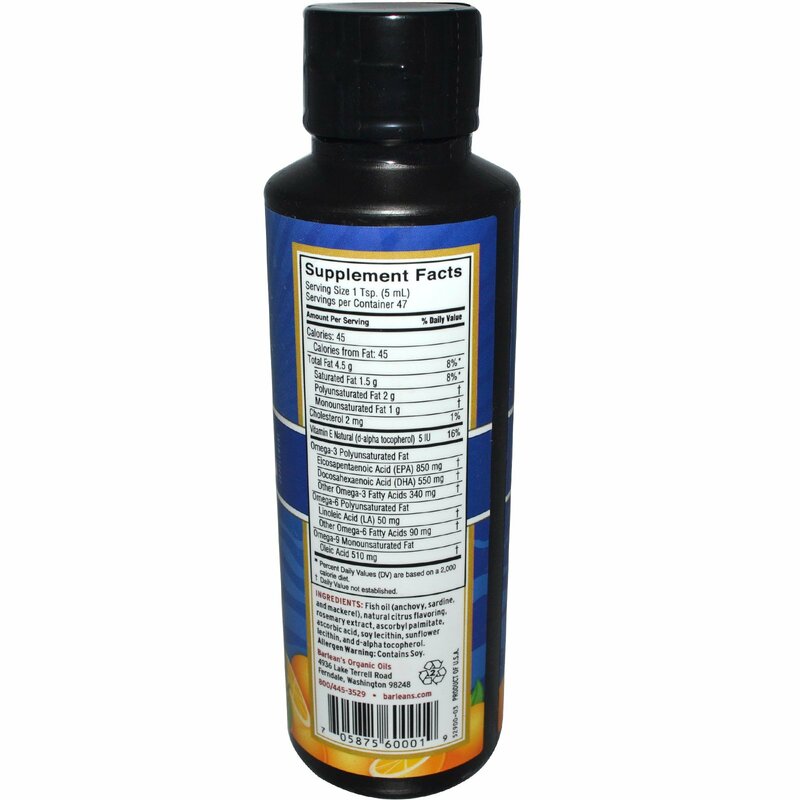 1 tsp teaspoon daily with a meal. Fish oil (anchovy, sardine, and mackerel), natural citrus flavoring, rosemary extract, ascorbyl palmitate, ascorbic acid, soy lecithin, sunflower lecithin, and d-alpha tocopherol. Refrigerate after opening. A cloudy appearance is natural.